Today’s Airfare of the Day goes to the OneWorld transatlantic joint venture (AA/BA/IB) and their basic season business class excursion round trip fares between Milan and New York. British Airways today announced changes to its first class soft product that will be rolled out starting on March 31, 2019 and should be finished by April 7. First class fliers will experience new bedding, pajamas, amenity kits and menus including “signature” afternoon tea service. British Airways Executive Club has launched hotel points to Avios conversion bonus for transfers executive March 1 – 31, 2019. The offer is valid from six hotel programs and British Airways will give you a 30% boost on top of what the hotel program converts to Avios. 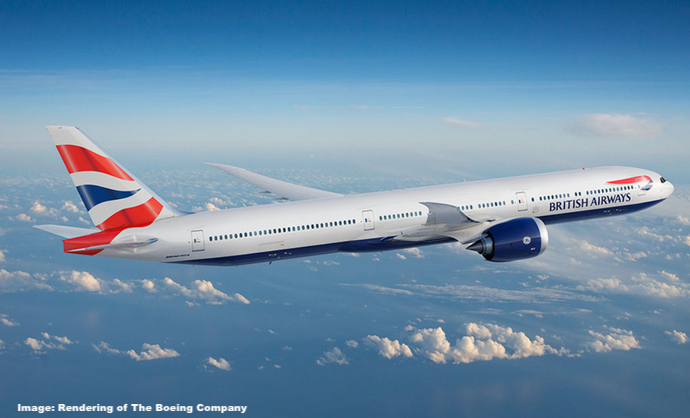 British Airways has decided in favor of the Boeing 777-900, also known as the 777-X, to replace their aging 747 Jumbo fleet with the first delivery expected sometime in 2020. British Airways currently operates 34 Boeing 747 as well as plenty of old, pretty dismal 777 aircraft which hopefully will be replaced sooner rather than later. Today’s Airfare of the Day goes to British Airways and their business class advance purchase round trip fares between London and Durban. This fare is a companion fare and requires to be booked for 2 passengers. Today’s Airfare of the Day goes to British Airways and their first class promotional round trip fares between London and Chicago. A former British Airways wine buyer had an interesting piece in the Financial Times over the weekend (beyond the paywall) that she made available on her own website too. British Airways is apparently trying to greatly reduce the price of its first class wines and has two inexperienced buyers trying to find drinkable ones costing less than 6 euros per bottle (yes – for first class) at the cellar door. British Airways continues their Centennial celebrations and has now brought the Avios part payment deal that they just had in the UK to the US. Executive Club members in the United States can save $100 off of the transatlantic fare by using 5,000 Avios. This offer is valid for travel through December 31, 2019 but must be booked by February 26. British Airways Executive Club launched last week an Avios sale that comes at 50% bonus that is about to end. The sale is valid through this coming Sunday – February 24, 2019. British Airways has capped the number of Avios that one can purchase any calendar year before any bonuses at 100,000 that has been lifted during this sale to 200,000 (max 300K with bonus). Today’s Airfare of the Day goes to British Airways and their first class promotional round trip fares between London and Nashville. British Airways Executive Club has launched a new Avios sale that comes at 50% bonus for purchases made through February 24, 2019. Today’s Airfare of the Day goes to British Airways and their first class promotional round trip fares between London and Seattle. 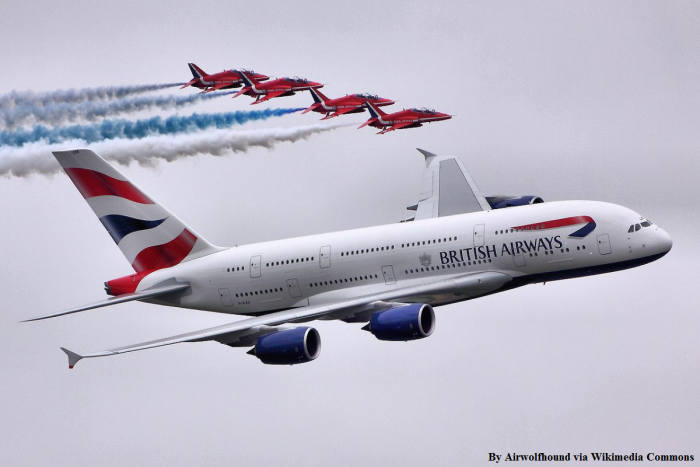 British Airways yesterday launched their campaign for turning 100 this year by selling tickets at 100 GBP each way from London. There will be couple of different destinations each day going on sale exactly at noon GMT. The 100 GBP price includes luggage + the usual Avios and tier points for economy fares.